Continuing its efforts towards empowerment of youth, Al Ahli Bank of Kuwait (ABK) conducted a vocational orientation at the Australian College of Kuwait. The one-day event, exclusive to ABK, was held on 17th July, in line with the College’s Career Day initiatives within its campus. 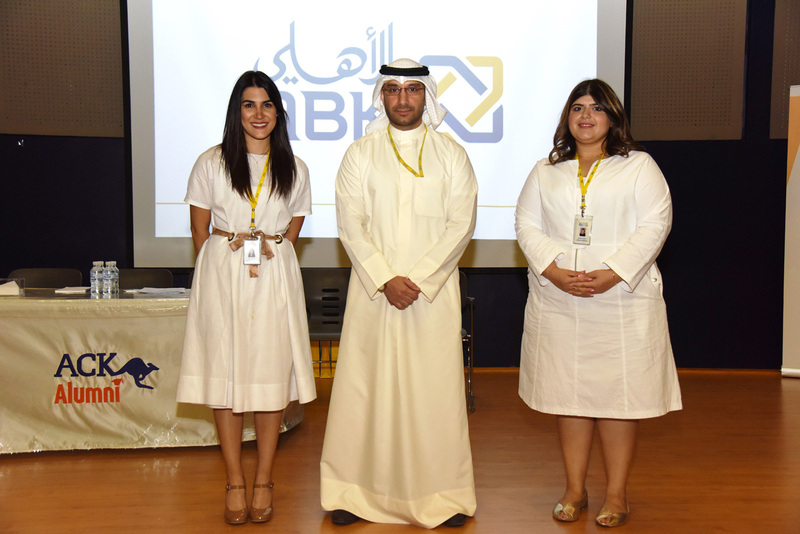 As part of this event, ABK’s human resources specialists organised a presentation where students were given a first-hand opportunity to understand roles and responsibilities within the banking sector. The Bank’s representatives also provided personal feedback to students and answered questions regarding career development opportunities within ABK. ABK also made on-the-spot offers to exceptional talent in order to give them the opportunity to work at ABK. To date, ABK has participated in numerous career fairs with the purpose of offering career development support to talented and educated Kuwaiti youth. In addition, the Bank has sponsored students and existing employees looking to further nurture their skills through university scholarships.